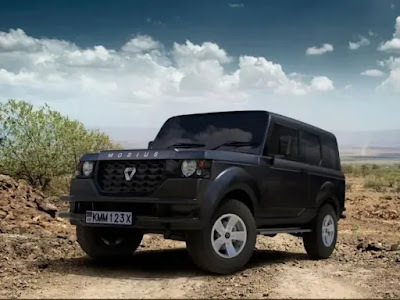 Kenya's Locally assembled all weather roads vehicle Mobius Wednesday said its Mobius II model orders had exceeded target, signalling rising appetite for the car. Mobius said all the 50 first generation units of the vehicle, which prides itself in being Africa’s cheapest, had sold out forcing it to double production to at least 100 units for the Mobius II to meet increased demand. "Designing and building affordable, fuel-efficient vehicles for developing regions in Africa, Mobius Motors is galvanizing a different, equally important revolution in transportation." Mobius Motors commercial director Markus Schroder said that besides local orders, the automaker has received interest from neighbouring countries, Europe and the US. “This first production run of the new Mobius II with an initial batch of 50 units is already over-subscribed with pre-orders. All 50 units of the first generation were sold last year,” said Dr Schroder, adding that production of Mobius II (next generation) will start with a low three-digit figure. “We plan to increase production over time and significantly ramp it up as we generate market interest,” he said. The majority of pre-orders are from Kenya, but a number of requests have also come from Germany and the US as well as from Tanzania and Uganda, Dr Schroder said.